When we talk about the first car there is a lot of debate about what actually constitutes an automobile. Obviously, it must move under its own power but after that, should it carry a load, and/or passenger, should it be steerable and have brakes, must it be big enough to carry a man or would carrying a doll be acceptable? The ifs, buts and maybes promote more and more questions so in this particular instance it is best not to talk about them but concentrate on the very first statement; moves under its own power. This definition is that which was put forward by the French Academy in 1875 and forms the first such definition of an automobile. When one applies this to historical research we find that automotive history stretches back over 346 years! Preceding Isaac Newton’s steam wagon initiative of 1687, a Flemish priest, Father Ferdinand Verbiest, lays claim to being the father of the automobile with his 1672 steam vehicle. His was the first vehicle which moved under its own power. Ferdinand Verbiest was born on the 9th of October 1623 the first child of a "magister", a bailiff and tax collector, called Joos Verbiest. The Verbiests lived in a small village called Pitthem, near Kortrijk in what was then the Spanish Netherlands but is better known today as Belgium. Joos Verbiest was a learned man and the love of knowledge was passed to his son Ferdinand. The young Ferdinand soaked up knowledge throughout his early schooling where he was considered a “singular prodigy”. Entering the Society of Jesus in Mechelen on the 2nd of September 1641, Verbiest continued his education at the Jesuit Colleges of Brugge and Kortrijk and further broadened his education at the Lelie university in Leuven and in Mechelen. His all-round ability led to him being considered a universal genius, a status still conferred upon him today. Studying philosophy, theology, mathematics and astronomy took Verbiest from Brussels to Seville, where he received his doctorate in theology in 1655 (becoming a Jesuit Priest), to Rome, where he completed his studies in astronomy, a field that would one day have him marked for death only to use the very same knowledge to escape the sentence of death put upon him. Verbiest had intended to become a missionary in the Spanish missions across Central and South America but the Spanish authorities had other ideas. From 1655 The Jesuit order had Verbiest assigned to their Chinese missions so when Pope Alexander VII Decreed from Rome Verbiest was on his way to China. Under the guidance of returnee Father Martin Martini a party of thirty-five missionaries set out by ship from Lisbon in 1657. Amongst the other passengers on board was the Portuguese Viceroy to the Indies; a holy, and politically, important group. These men were trained to understand Chinese culture, their languages and they had skills the Chinese sort after; Scientific and Mathematical learning. The ship finally arrived in Macao (Macau) in 1659 after 15 months of travelling. This journey was fraught with problems to the point that the Viceroy and most of the missionaries died ‘en route’. Verbiest was one of the ten remaining passengers still alive and took control of the Shanxi mission. Working in a religious and diplomatic capacity Verbiest became a cartographer, putting his astronomical learnings to good use, and a translator due to his capacity to speak Latin, German, Dutch, Spanish, Hebrew, and Italian. The Roman Catholic Church was attempting to garner converts and strength to off-set their losses to the growing European Protestantism. So it was that Verbiest was 'on mission' to evangelise the Chinese province of Shanxi. Many historians report on these missions to China with “awe and admiration” and say that “Europe was thrilled with the work of the mission”. Verbiest continued leading the Shanxi Mission until 1660. Jesuit priests Matteo Ricci (1552-1610) and Johann Adam Schall von Bell (1592-1666), both astronomers and men of learning had already journeyed to China before Verbiest to educate the Far East with advanced Western science. Schall and Ricci had already established a relationship with the Emperor when Verbiest arrived in China but in 1660 Schall, by then the Jesuit Director of Beijing Observatory and Head of the Mathematical Board, requested the assistance of Verbiest in astronomical calculations aimed at reforming the Chinese calendar. Verbiest proved a worthy assistant. An interesting aside is the fact the Jesuits in China were teaching the theory of the solar system revolving around the sun while Galileo was still being roundly criticised for his beliefs in Europe. Unfortunately, the young Shunzhi Emperor died aged 23 and his son Xuanye, still only 7 years old, was guided by four regents. Jealous court astronomers, most notably the Chinese Muslim Confucian writer Yang Guangxian, had been agitating to remove the western Christians for some time but with little influence over the open-minded Emperor they had made no headway. As the political situation had changed in 1661 Yang Guangxian's attacks gained traction. China’s Manchurian-ruled Qing dynasty still incorporated aspects of shamanism within the state religion, part of which was the rite of public competition. This had been a trial of rival shamans’ magical skills but now had developed to the point that the winner was judged to be just and right and the looser had to go to prison (the best which they could hope for!). Yang Guangxian writings “A Complaint Requesting Punishment for the Evil Religion” came before the Regents Board of Rites in 1664 in which Yang Guangxian claimed Father Schall had caused the death of Consort Donggo in 1660 because of his wicked religious meddling and the teaching of a false religion. Of course, this was all fictitious, but it did result in a public astronomy competition between Yang Guangxian and Father Schall von Bell. Yang won, replacing Schall as Head of Mathematics to the court. Schall, having lost, had to go to prison. At least he wasn’t alone, the persecution, and imprisonment, of Christians followed quickly. For almost two months Fathers’ Schall and Verbiest, along with other missionaries and Chinese Christians, were chained in the worst conditions of imprisonment we can imagine. Forced to remain in a crouching position, unable to sit or stand, being bound with wooden pegs in their joints. As the Chinese investigations dragged on Father Schall suffered a stroke which left him infirm and unable to speak at the court trials. Ferdinand Verbiest, weighed down by nine chains, spoke “with courage and eloquence” to defend Father Schall. Verbiest’s words were to no avail and a sentence of strangulation was imposed, however, a higher court found the sentence to be too lenient. They decided the Christians should be executed in a far more painful way. They were to be cut up into pieces while still alive. As the appointed date for the executions neared an earthquake struck, on 16th of April 1665 …. An extraordinary meteor was seen in the sky, and the portion of the palace where the condemnation was pronounced was destroyed by fire. Taking these as bad omens, or a sign of God’s favouring of the Christians, the authorities rescinded the sentences. Five Chinese Christians were martyred and the missionaries were exiled to Macau; just four Jesuits remained in Beijing. These men would have to rebuild the standing of the Christian faith and Western science and astronomy, from scratch. From around 1668 the young Kangxi Emperor started to come into his own and grasped power in his own right by having the corrupt regent, Oboi, arrested and imprisoned. In 1669 he was made aware of the serious errors that had been found in the Chinese calendar to be used in 1670, a calendar drawn up by Yang Guangxian. The Emperor resorted to Chinese law and ordered a trial of astronomical mathematics skills between Yang and Verbiest; declaring, "The Heavens would be the judge". In order to compare the relative merits of European and Chinese astronomy the contest would be held in the presence of privy council and government ministers, officials from the Bureau of Astronomy and a number of other mandarins. The setting for the contest was the observatory of the Bureau of Astronomy. Using their mathematical skills and knowledge of astronomy the two protagonists were to provide the answers to three tests. 1. Calculate the exact moment of the expected lunar eclipse. 2. Calculate the length of a shadow cast by a sundial gnomon at noon on a specific day. 3. Predict the absolute and relative positions of the Sun and Planets on a particular date. Verbiest’s European background gave him access to the latest version of the Rudolphine Tables and he was assisted by telescopes for observation of the stars; Yang couldn’t begin to compete. The result was a walkover for Verbiest and in an appropriate reversal of sentences Father Verbiest became president of the Imperial Board of Mathematics, and Yang was to be cut into pieces while still alive. The Christian Jesuit Fathers were authorised to return to their various missions and were elevated to a position of honour which allowed the Church to recover. In fact, the church prospered and enjoyed much greater security than it ever had; all thanks to Father Ferdinand Verbiest. Oh, and the rotten Yang somehow had his sentence reduced to that of exile to his home town….. but he never saw home, he died during the journey. As well as his position as head of mathematics Verbiest was tasked with the job of Director of the Imperial Astronomy Observatory. The Emperor requested that Verbiest provide the observatory with “Instruments like those of Europe” to replace ancient, now obsolete equipment. Between 1670-1674 Verbiest carried out the overhauling of the Ancient Beijing Observatory (originally built in 1279), rebuilding some of it and replacing much of the old equipment. When he finished the Beijing Observatory, it had the most efficient and advanced equipment of its time. Father Verbiest designed and oversaw the construction of six new instruments which were presented to the Emperor in May, 1674. Out of respect for history and the Chinese designers, Verbiest had the previously used, now obsolete, equipment consigned to a museum rather than destroyed. The new instruments were built by Chinese craftsmen following Verbiests instruction and appear to be influenced by the work of the Danish astronomer, Tycho Brahe. They were of the highest quality, large and very impressive. The new set of astronomical tools consisted of a thermometer of rather large stature, an ecliptic armilla, a celestial globe rather like a set of gyroscopic rings, of six feet in overall diameter, which create a map of the celestial objects identifying their relative positions as they move around the sun. There was a second equatorial armillary sphere of equal dimensions. Also new to the observatory was a huge Altazimuth quadrant of six ft radius to measure the zenith distances of celestial bodies and a similar device of eight ft in radius that was essentially a huge sextant to measure the elevation of celestial objects above the horizon. There was even a Clepsydras, a time keeping device using a regulated water flow. All these instruments were large, made of brass and very heavy. Added to that they were decorated too, further adding to their weight. However, they were very easy to manipulate and a showpiece for the technical and artistic skills of the Chinese craftsmen. This is a point to remember later when we discuss the Car Verbiest designed for the Emperor. At the time the instruments were highly prized by the Emperor and the wider Chinese peoples. They are admired just as much today and remain on display in Beijing for tourists to see. As an historical note the design and construction can be found in the form of block prints in works the of Verbiest known as “Astronomia Europaea sub Imperatore Tartarico Sinico Cam Hy” and “Lingtai yixiangzhi”. These works set out the methods of use as well as the design and construction. Such instruments of the observatory where key in the coming work set out by the Emperor. Desiring a table of astronomical events to come he tasked Verbiest, with a team of 160 students and great mandarins of the Bureau of Mathematics, to compile a chart of predictions that included the expected solar and lunar eclipses for 2000 years to come. Verbiest succeeded in doing so. The future of the venerable observatory was not so easily predicted. One hundred years after Verbiests time the observatory was neglected and once again fell into disrepair. Later, during the Boxer rebellion Prussian troops removed the instruments as a reparation and took then to Prussia while the great Jesuit scientific library was carted off by Russian troops who gifted it to the Tsar. Verbiest became disturbed by the glaring errors in the Chinese calendar and he took steps to change it. However, the calendar was a document used by millions and had the Emperor’s seal on it. To change such a thing would require the Emperor to admit a mistake, something that could not be countenanced and would carry a dire penalty if Verbiest should even dare to mention it. So, of course, he went straight to the Emperor and, despite the officials begging him to withdraw the suggestion, he pointed out the mistakes. Verbiest was told the extra month added by his predecessors was to correct previous errors, Verbiest corrected the calendar calculations and said, "It is not within my power to make the heavens agree with your calendar. The extra month must be taken out." The Emperor himself studied the research and concurred with Verbiest; the extra month was out! The Kangxi Emperor was impressed by Verbiest’s audacity and ability and the two started to forge a strong relationship that would become a lifelong friendship. As Verbiest learnt the Manchu language, and translated the first six books of Euclid into Manchu, the Chinese Emperor requested Verbiest teach him in geometry, philosophy and music. In fact, Verbiest was elevated to become personal tutor and counsellor to the Emperor, acting as an interpreter and diplomate accompanying the Emperor during tours of China, Mongolia and Manchuria, with a given Chinese name of Nán Huárén. Verbiest rose to the highest grade of the mandarinate enabling him to preach Christianity anywhere in the empire. Something he took advantage of whenever he could, resulting in the Catholic Christian religion increasing steadily. With his position, and that of the Jesuit Church, secured Verbiest could turn his attention to the wider issues of the world. He would use his knowledge and powerful intellect to become an engineer, linguist and geographer. But first he had to campaigned for the reinstatement of Schall’s good name, Schall himself having died from the debilitating stroke while still in disgrace. He petitioned the Emperor with his case and obtained what we call “a full pardon”, and, an imperial inscription was made on Schall's tomb. Having corretted that wrong Verbiest published a map of the world, as it was known in 1674, called the Kunyu Quantu. He oversaw the construction of an aqueduct, created star charts for the Kangxi Emperor and when there was a rebellion by the peoples of Southern China Verbiest designed, and oversaw construction of, 132 cannons for the imperial army. Weapons far superior to anything the Chinese had previously made, and he even designed a new type of carriage for them so they could be transported more efficiently. Bizarrely he received a commendation from the Pope, Pope Innocent XI for, "using profane science for the safety of the people". This imaginative man came up with better means or transportation of enormous blocks of stone and came up with a design of steam engine that could power ships, all before Newton, Fulton, Watt or Newcomen. As a part of his work for the Church Verbiest wrote many books for the Chinese Christians. One of these was a book called Kiao-li-siang-kiai, giving them a fundamental statement of what it means to be a Christian. Further help was given when he translated the Missal into Mandarin, sending a copy, printed in China, to the Pope. Verbiest wrote a handbook of astronomy consisting of 32 volumes which also contained many of his ideas, experiments and hypothesis in a now famous book known as the Astronomia Europea. To further the cause of East-West communication he wrote a book on Chinese grammar, turned out to be handy for the Chinese too! Over the course of his life the body of Ferdinand Verbiest’s writing resulted in over thirty books, some of them consisting of large amounts numbers of volumes in their own right. Being a skilled linguist, fluent in five languages, Verbiest was a great help in negotiating between the Chinese and other countries and organisations. One of the most important occurrences was when a Russian delegation came to Peking to negotiate and fix the Russo-Chinese borders officially. Verbiest’s role as a translator also gave him the opportunity obtain information from the Russians about land routes through Siberia. He was attempting to find other routes Jesuit missionaries might be to use to get to China rather than by going by sea. Ever looking ways to further the Churches cause. With his positions and friendship with the Emperor Verbiest was frequently at the palace and often accompanied the Emperor on his many expeditions throughout the Empire. In short, there wasn’t much going on that Verbiest didn’t know about. Steam technology was very much in its infancy in the mid 1600s and the inquisitive Verbiest of course dabbled in it too. We have mentioned he designed an engine to power ships but he also came up with a design for an automobile. Around 1672 Verbiest designed a small, self-propelled vehicle as an amusement for the Emperor and the Chinese court. It was a working model, a small-scale prototype if you like. The design is laid out in the “Astronomia Europea” and thought to be approximately 2 ft, or 65cm, in length. The basic idea was a five-wheeled cart-like trolley. The fifth wheel on a spar to the front of the vehicle giving it some level of steering ability. On the base of the trolley sat a brazier which heated the ball-shaped boiler filled with water that sat above it. The boiler had an evolution of Hero's rotating aeliopile steam engine but in this case the boiler sat still and the nozzle directed the pressurised steam at a horizontal bladed wheel with the appearance of a waterwheel. As the steam hit the vanes in the wheel it started the wheel turning. This rotational motion turned a vertical shaft which at the bottom had a simple set of peg gears which translated the motion through a 90° angle rotating the rear axle in a differential-like gear system which passed the motion to the rear wheels. Some argue the machine was never actually built, and if it was it probably didn’t work. However, remember what we mentioned earlier? Verbiest had access to China's resources in the form of exceptionally skilled wood and metal-working fabricators. Given the precision of the instruments in the observatory there Is every reason to expect a small-scale model to work sufficiently well to propel itself around. Had Verbiest come up with the idea of enclosing the turbine, better containing the power of the steam, then it had definite possibilities. Built or not Verbiest had conceptualized an original design, not a modification of a cart, and proved the potential of the idea of a self-propelled vehicle; a quite remarkable achievement in its own right. People have argued extensively on the realities and what the term “automobile” is defined as. In the simplest definition, and believing the toy was built, then this was the world’s first automobile, and this, some 215 years ahead of Benz and Daimler. As we mentioned earlier Verbiest’s dedication to the Jesuit Christian mission was always at the forefront of anything he did. 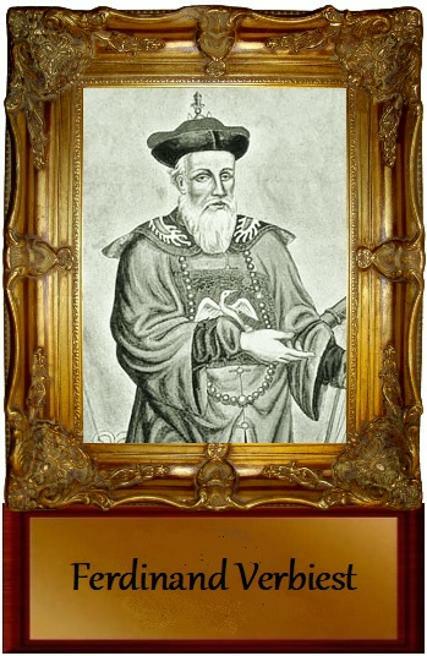 He was declared vice-provincial of the Jesuit mission in 1677. He used his position at court to lobby visiting dignitaries from around China to consider inviting the Jesuit missionaries to come into their towns and set up a mission. No doubt he traded a little on the idea of them gaining favour with the Emperor who greatly admired Verbiest and, as an extension, the Jesuits. At the same time Father Verbiest continued to urge his brethren in Europe to send more missionaries. In August of 1678 Verbiest wrote an open circular letter to all the orders in Europe informing of his progress in preparing the way for the Church to move in and gain converts. He went on to explain his hopes for the Faith in China while also explaining how this work was impossible at that time down to the inadequacy of numbers and resources. In the most touching of terms he urged his brethren in Europe to reinforce this body of workers and take full advantage of the current position to found new Christian communities, churches and to establish schools. He also pushed the issue of raising Chinese Christians to the priesthood. Many men had been converted and joined the Jesuit order as catechists teaching the Christian ideal, but at that time they could not be ordained. Having already petitioned the Emperor to remove Christianity from the lists of prohibited sects or organisations in China Verbiest had everything in place for the most successful mission in the History of China. If Chinese converts could be ordained and permission for these Chinese priests to say Mass and the sacraments in Chinese, something granted in principle by Pope Paul V as early as 1615, then China was there for the Jesuit order to harvest. The Jesuit superiors, were not convinced by the arguments regarding indigenous clergy but Verbiest was successful in his urgings for extra manpower recruiting many ardent volunteers. King Louis XIV of France was particularly supportive. While the king backed the Christian ideal his ministers saw the opportunity to advance France's commercial expansion! A party of French priests arrived in 1687 and gained authorization to travel into the interior by order of the Chinese Emperor despite the Tribunal of Rites at Peking be opposed to this “invasion”. Father Verbiest must have found this news of great comfort and have looked forward to greeting the new volunteers. However, Verbiest would never meet them; the party arrived in Peking ten days after Verbiest died. They were able attend his funeral as the Emperor had the ceremony delayed so that the Christian priest would be able to attend and add to the solemnity of the occasion. In late 1687 or early 1688 Father Verbiest’s horse bolted, and before he could regain control of the animal he received a wound from a branch which also caused him to fall from the said horse. A few weeks after the fall Ferdinand Verbiest succumbed to his injuries dying in Beijing on the 28th of January, 1688. Suddenly twenty years of friendship was taken from the Emperor who is said to have been “Profoundly shocked” by the loss. When instigating a state funeral Emperor Shanxi praised Verbiest for his loyalty as a friend and for the wise counsel he gave. Father Verbiest was entombed on the 11th of March 1688, with all the trappings of an imperial burial. His mausoleum was personally paid for by the Emperor who also gave Verbiest the highest honour of an “immortal” Chinese name, Kiao-Li-Siang Kiai. Verbiest remains the only European to have been given such an accolade. The tomb of Father Verbiest is in the Zhalan Cemetery, now the Oldest Christian Cemetery in Beijing, alongside those of the two other famous Jesuits Matteo Ricci and Johann Adam Schall von Bell. Located to the west of Beijing the site is now inside the campus of a College of Political Science and difficult for westerners to gain access to. However, after the many trials and tribulations of the boxer rebellion and the Communist regime the cemetery was part of a major restoration project in 1986. Today it is listed by the State as a protected cultural site it still contains the graves of 63 European missionaries and the immaculately well-maintained tombs of the three Jesuit scientists. The contribution of Verbiest to China and to East-West co-operation is honoured in a special museum in Beijing where the bronze astronomical instruments Verbiest oversaw the construction of are preserved. He is also celebrated within the popular novel “Shui Hu Chuan” in which Verbiest is listed as one of 108 Chinese heroes. He also commands a permanent place within any history of the Chinese Middle Kingdom. His likeness is even to be found, even though altered to have more Chinese features, in a famous Japanese print! The Eastern connections are further reinforced when stamps revealing the Western influence on Asia were issued in Macau, in 1989 and 1999. Verbiest features on two of the stamps with a sketch of the Observatory in Peking and some of the famous astronomical instruments Verbiest had built. On the 24th of October 1988 Belgium released several commemorative postage stamps to celebrate the 300 years passing since the death of the famous Belgian. He appeared as he might have looked when President of the Imperial Chinese Board of Mathematics and also had two special pictorial cancellation postmark stamps depicting Verbiests face on one and an image of the statue of Verbiest in front of the Church of Notre Dame in the town square of Pittem where Verbiest was born. Ferdinand Verbiest remains the most famous son of the town of Pittem and obviously has a large memorial statue in the town square. The town has further honoured him by naming the visitor centre after him. The visitor centre of Ferdinand Verbiest is located at, Markt 1, Pittem, and is Actually houses an interactive system for the instruction of visitors to the town about the life of Verbiest. Father Ferdinand Verbiest’s automobile is largely forgotten in our modern world, but, even by todays standard a person who can speak five languages, write over thirty books, design and build fine quality astronomical instrumentation that allow one to correct the calendar of an entire nation, and draw a map of the known world, would be considered exceptional. Ferdinand Verbiest remains famous for his astronomical and mathematical advances, and is easily one of the most important figures of the seventeenth-century. Over 220 copies of Verbiest's manuscripts printed books, illustrations and maps can still be found scattered around world. Verbiest was clearly far more than a Jesuit missionary, or a diplomat. He counselled an emperor and taught not only religion but arithmetic, rectilinear and spherical geometry, geodesy, topography, astronomy, philosophy, poetry and music. He promoted a much greater enlightenment of Eastern and Western ideals inspiring people such as the German philosopher Gottfried Leibniz. The Flemish missionary inspired a nation and while he never convinced the Chinese Emperor to convert to Christianity he did create an atmosphere in China that allowed the Christian faith to flourish, it has been estimated some 800,000 Chinese Christians were living in China when he died. 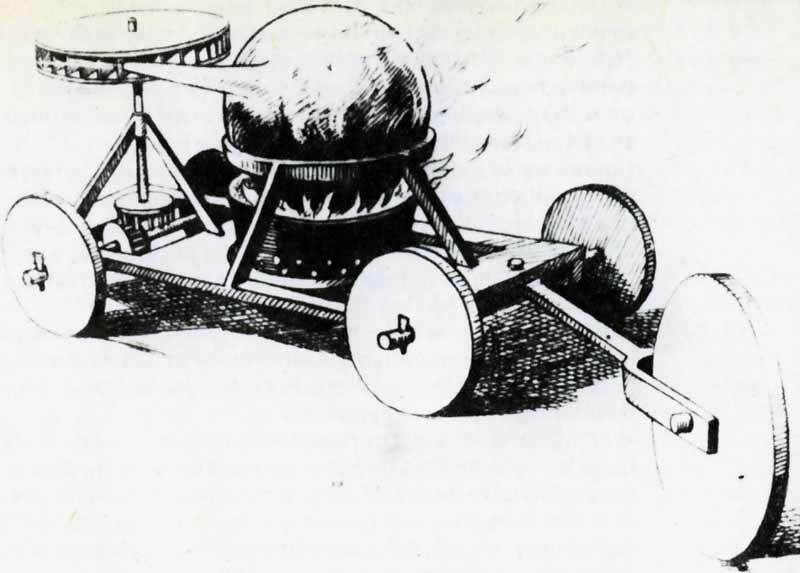 Today scholars point to Nicholas-Joseph Cugnot's steam artillery tractor as the earliest real self-propelled vehicle but Verbiest was putting his ideas into practice, albeit in a scale version, a century earlier. Before Issac Newton drew his steam carriage and well before Watt, Stephenson, Murdoch or Trevithick had even mastered the stationary steam engine. Only Leonardo DaVinci’s clockwork concept vehicle, which was never actually made at all, pre-dates Verbiest’s design. The Chinese Emperor is said to have found the little steam car fascinating and it entranced many when shown off at court. However, suitable resources (woods and metals strong enough and light enough), were probably not available to make a real large-scale working prototype, and anyway, there wasn’t any real need to replace the horse at the time. Thus, this Cathay Princes’ “toy” was lost in the sands of time. The invention that has changed the world as we know it slipped from Verbiest’s grasp and remained an elusive prospect for more than another 200 years.